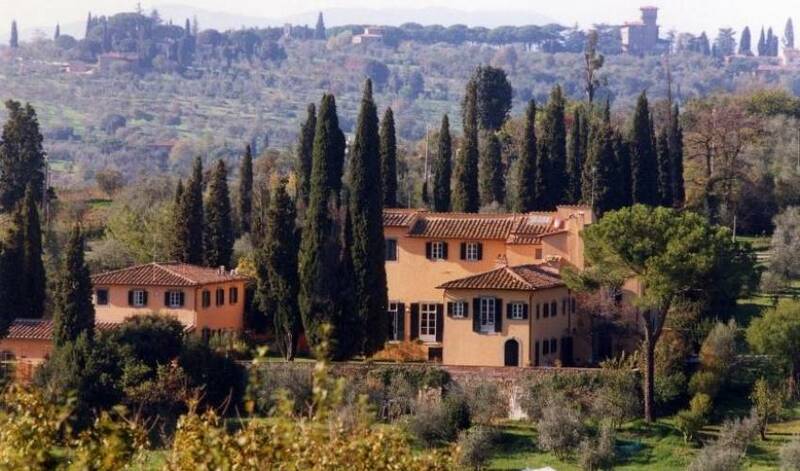 Villa 9108, part of a larger estate, is situated atop the hill in the heart of the Tuscan countryside surrounded by olive groves, cypress trees, and beautifully manicured gardens. 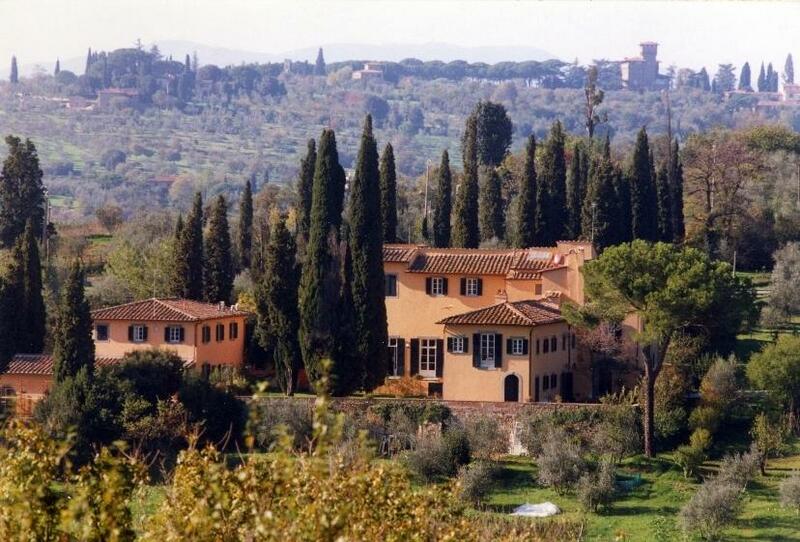 The villa has stunning views of the Florentine countryside. 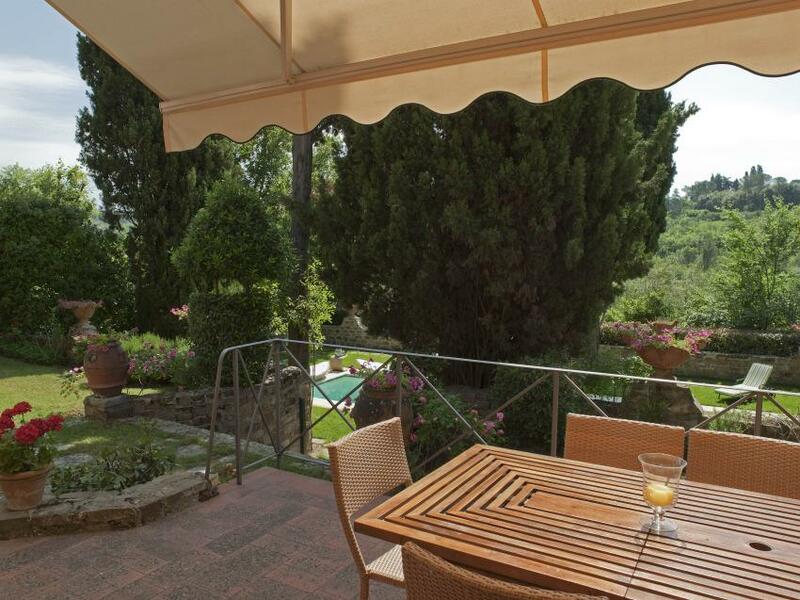 Its short distance to the center of Florence, only 10 minutes by car, makes this the perfect villa to enjoy the peaceful countryside and still be close to the famous city. Ground Floor: 1 master queen bedroom with en suite bathroom with tub and shower stall. 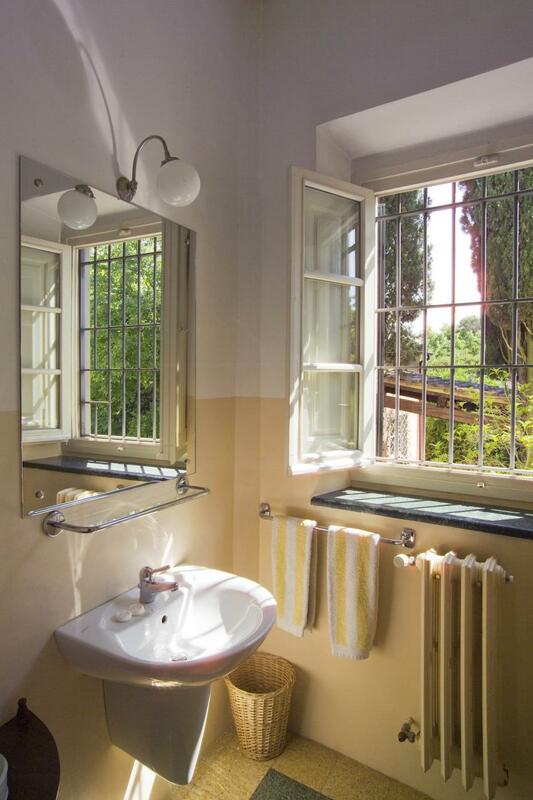 1 queen bedroom and adjacent double/twin bedroom share a bathroom with tub. 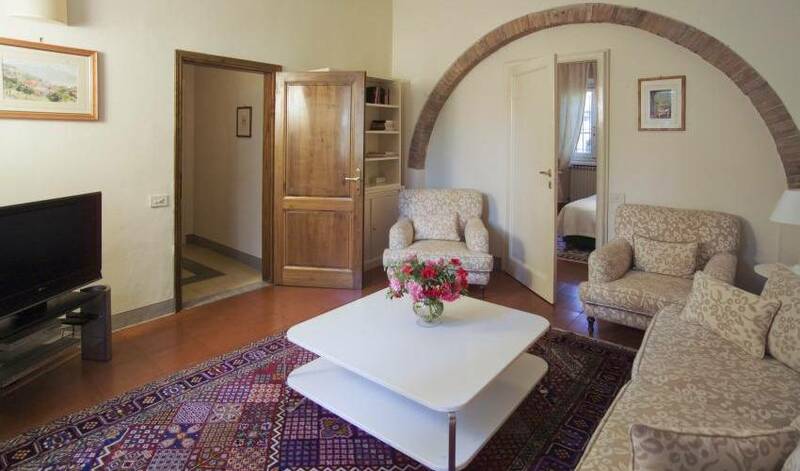 1 queen bedroom with private bathroom with shower. 1 guest half bathroom. 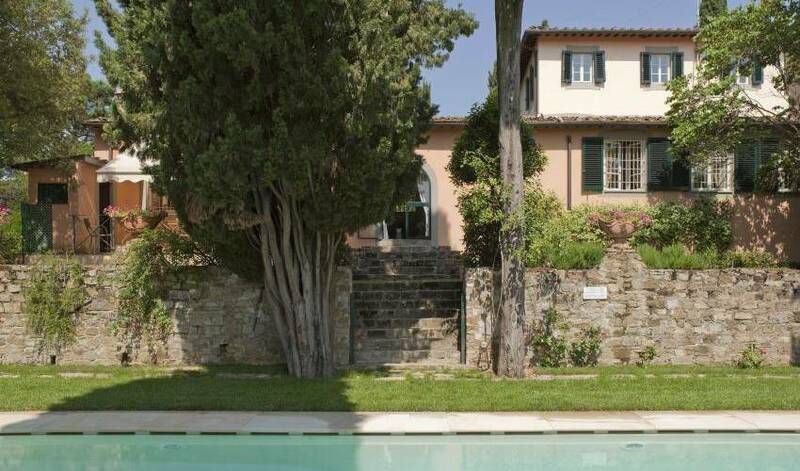 Ground Floor: The villa has been fully remodeled and carefully restored to create an elegant and charming ambiance. 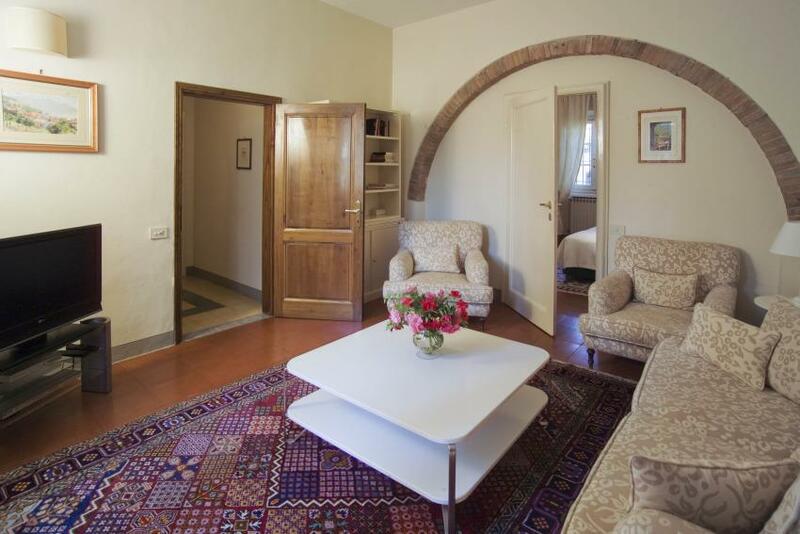 Many social spaces such as a living room with fireplace, study, dining room, and a family room with satellite TV. Fully equipped, modern kitchen. 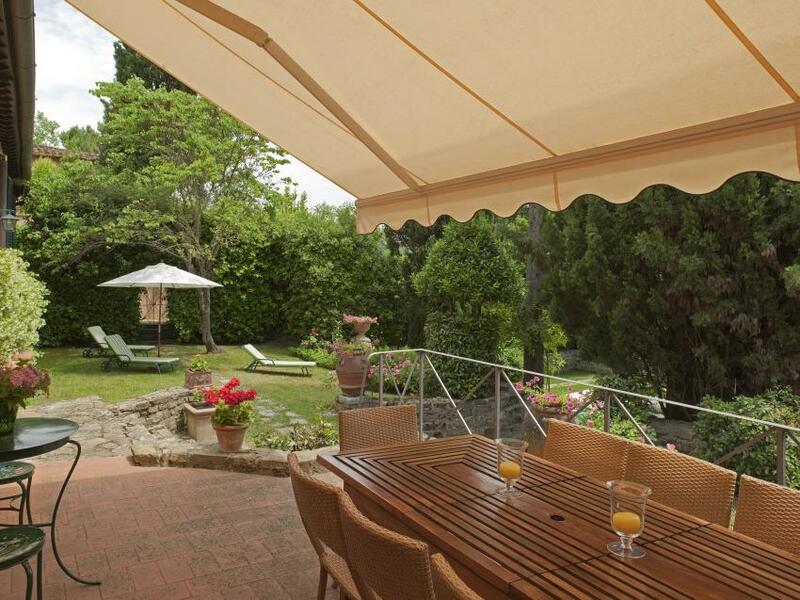 Private terrace with shaded dining area. 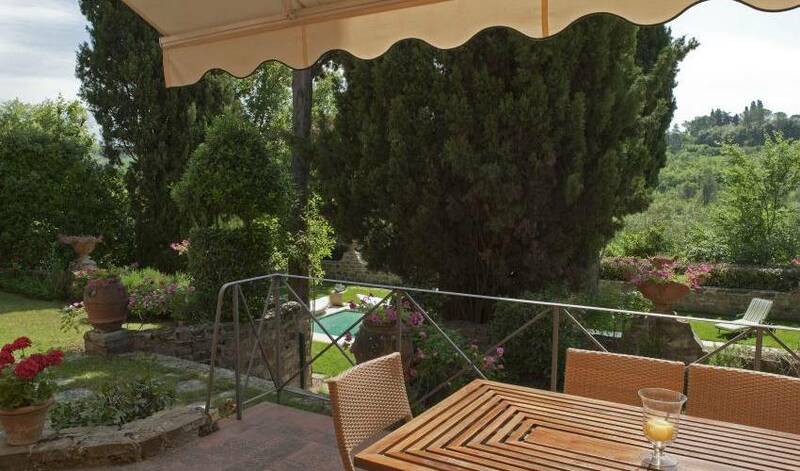 Private swimming pool with lounge chairs & tables surrounded by trees for privacy. 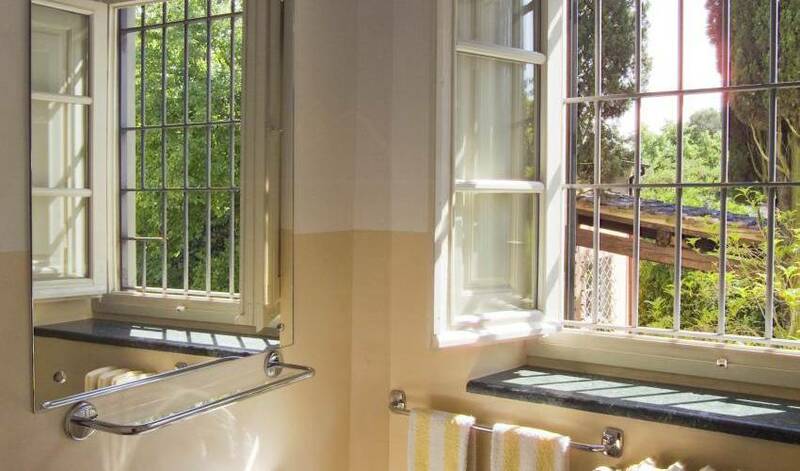 Screened windows in some rooms, A/C in all queen bedrooms and living room, ceiling fans in other ground floor living spaces, central heating, satellite TV, WiFi, laundry room with washing machine and dryer. Region-free DVD player. American coffee maker. Ample parking. 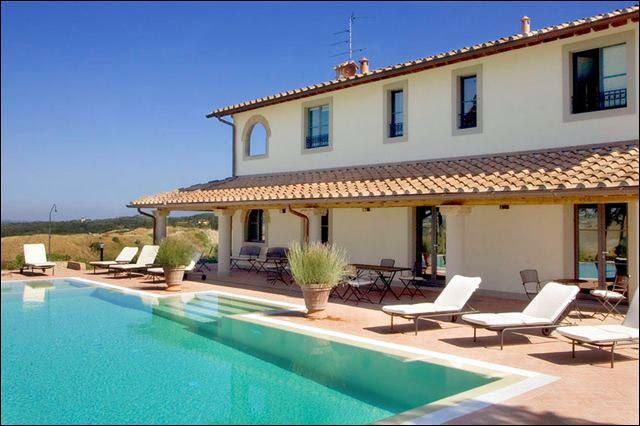 Villa 9108 has elegant and comfortable interiors with typical architectural details such as a beautiful stone fireplace, exposed wood beamed ceilings and terracotta floors. 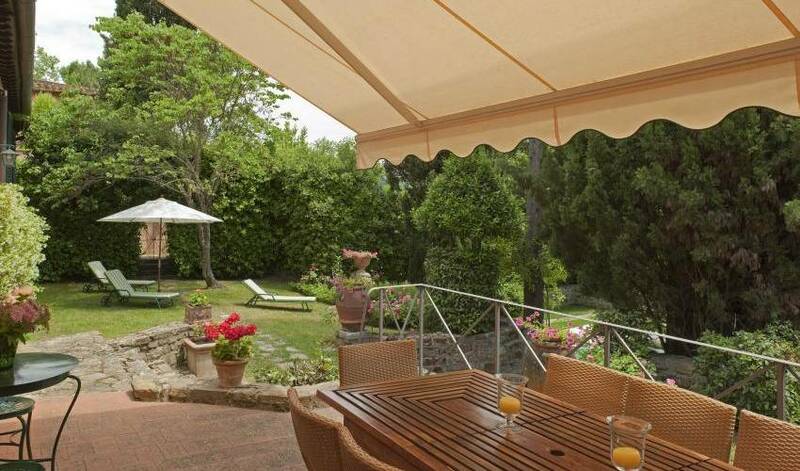 It is in a superb location as the center of Florence is only 15 minutes away by car or bus.